Starting an online business, want to sell things online? Whatever your industry, the very first step should be to plan and build a customised e-commerce website. Every business is different, which is why it’s important to build an online store that is tailored to your businesses unique requirements. You e-commerce website should allow seamless browsing, buying and paying of products, but you don’t have to be tech savvy to manage an online store, nor do you need any programming knowledge. Select from hundreds of themes – you can choose between ready-made or made to order. Each store theme is incorporated with user-friendly settings that can be customized. Upload your logo, product or service descriptions with images, and pricing without hassle – all it takes is a few clicks! A shopping cart will be integrated onto the platform automatically, with fast and easy access for customers from desktops, mobile phones, or tablets.We have a switching facility too that helps you transition from an existing cart to the model provided by us – we will guide you through the process so it is quick and seamless. Build the store from ground up – it is your baby and brainchild, so you know what is best – we will assign an expert to work with you. The full control of the platform rests in your hands – modify and tweak it as and when required from the intuitive settings available in the admin panel. Use the multiple advanced features that are part of your package to design and brand the store any way you wish to. Technical support is top-notch, we are here to support you long term. Furthermore, you can choose to opt-in for free software updates. Ready to start building your online store? 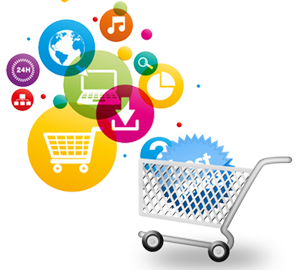 At Digital Arm, we provide lucrative e-commerce websites, so that millions of customers can visit your store and buy your products. Get in touch with us today to start planning your online store!